Home> Resource> iOS Transfer> How to Find & View iTunes Backup Files on PC/Mac? 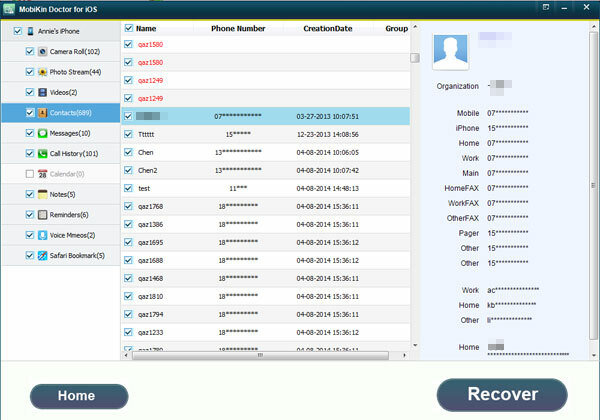 Have you deleted data from your iDevice or lost your iPhone, iPad or iPod Touch device by accident? Or do you just want to replace your old device with a new iDevice or want to replace your iPhone with an Android phone but you want to keep your old files? You do not have to be worried at all. As long as you have ever synced your iDevice(s) with iTunes before, you can easily find and view or recover all your data by simply extracting your "iTunes backup". As you know, iTunes will normally generate a backup file for each and every device that has ever been synced with it which is very easy and efficient for late restore when needed. However, it is worth noting that these backup files aren't allowed to access or even preview, that means you cannot take any data/files directly out of the iTunes backup files. Fortunately, with the advanced technology, now you can find & view iTunes backup files on your desktop computer by using a simple 3rd-party program. Before viewing it, you should to understand where your backups are usually stored in. Where are the iTunes backup files stored? Generally speaking, even though you have found the backup files on your desktop computer, you may find that you still can't view the file due to the format compatibility issue. Thus here, you can keep reading the following contents to learn how to view iTunes backup files directly. Here, MobiKin Doctor for iOS (Windows/Mac) are strongly recommended here as your assistant. With it, you're not need to find the iTunes backup files by following the above address, the program will detect all iTunes backup files on the PC and show them in the list mode. You can directly find the backup files you need and conduct a scanning on it, then all detailed files will be displayed for your reference. Now, just download the free trial version on your computer, and then follow the below steps to start the whole process. Step 1. Launch the program on your Windows or Mac computer, and then select "Recover from iTunes Backup File" (Mac version only has one recovery mode, so you'll see an interface like below directly). Now, you can select the backup files you wish to view and hit "Start Scan" button to begin the scanning. Step 2. 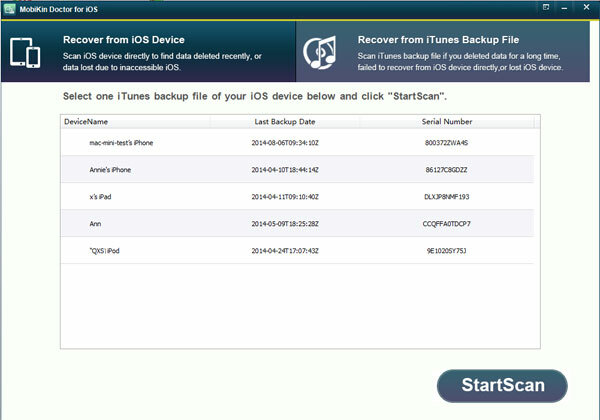 After the scan, files on the iTunes backup will be displayed in categorizes, you can choose these folders and preview the detailed contents under them one by one. If you wish to get the files for other using, you can hit "Recover" button to extract the selected file from backup. But if you only need to view the files, you can end the process in the step 2.